The good news? 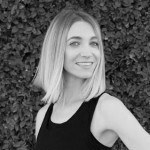 Your current gut type isn’t a life sentence, says Dr. Axe—once you know what’s ailing you, the path to balance becomes clear. 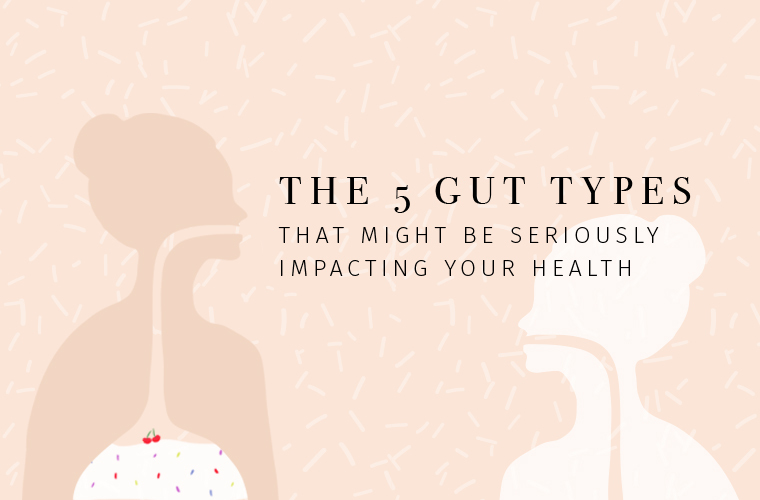 (As does your skin)..
Ready to learn your gut type? Keep reading to find out which one you are—and Axe’s tips for how to treat them. Bad habit: Ice cream, cookies, cupcakes…shall we go on? Emotional profile: Worrisome, anxious, obsessive. What it means: Dr. Axe says candida gut—an overgrowth of yeast in the digestive tract—is related to dampness in the body (a Chinese medicine condition caused by eating too much sugar, dairy, and wheat). Those who take birth control pills are especially prone to this condition, which manifests as weight gain, phlegmy coughs and sniffles, and a white coating on the tongue. Ways to heal: Eat lots of soups, stews, and warm starchy veggies; take probiotics and oregano oil; incorporate fermented foods; sip pau d’arco tea. What to avoid: Dairy, sugar, refined grains, raw foods, yeast. Bad habit: Inhaling your food (and large portions of it). Emotional profile: Fiery, passionate, reactive. What it means: “Overworking and overexertion are the biggest reasons why people come down with gastric gut,” says Axe, who explains those with this type have especially slow-moving digestive systems. As a result, anything that hampers digestion further—like not chewing properly, overeating, and taking antacids—is going to cause issues like gas, bloating, and acid reflux. Ways to heal: Eat several small meals and stop before you’re full; load up on bitter veggies, herbs, and citrus; drink mineral water; supplement with digestive enzymes. Bad habit: Overdoing the coffee and booze. What it means: If your stress hormones are constantly pumping, blood flow is diverted away from your gut, which impairs the growth of good bacteria and digestive enzyme production. Axe says those with this gut type often have adrenal fatigue, which causes sleep issues, decreased libido, and trouble focusing, among other symptoms. Ways to heal: Eat salty, dark-colored foods; embrace animal protein; get serious about stress reduction; supplement with B vitamins and adaptogens. What to avoid: Alcohol, caffeine, refined grains, sugar. Bad habit: Popping antibiotics every time you feel sick. Emotional profile: Perfectionistic, insecure, detail-oriented. What it means: “Food sensitivities—usually gluten and dairy—are the reasons behind Immune Gut,” says Axe, who adds that those with this type usually have multiple allergies and intolerances. He says it’s caused by longtime use of antibiotics, birth control pills, and steroids, and at its worst results in autoimmune disorders and inflammatory bowel diseases. Ways to heal: Follow an elimination diet and keep a food journal to pinpoint sensitivities; drink bone broth and eat healthy fats daily; supplement with digestive enzymes, soil-based (SBO) probiotics, and L-glutamine. What to avoid: Alcohol, dairy, raw foods, packaged foods. Bad habit: Eating processed or fast foods. Emotional profile: Impatient, frequently frustrated, quick to anger. What it means: SOS! According to Axe, Eating a diet high in fat, sugar, and chemicals causes an inflammatory chain reaction from our liver to our intestines, leading to symptoms ranging from gallstones to rosacea to neurological distress. Ways to heal: Eat an abundance of raw, green, and/or sour foods; drink dandelion or milk thistle tea; get more sleep; meditate. What to avoid: Alcohol, non-organic dairy and produce, fried foods, nut butters, oils. Originally posted April 1, 2016. Updated July 18, 2018.